Mary Kay’s new Believe and Wonder collection is described as ‘awakening the senses’ with scented bath and body collections that help you ‘maintain a desirable and tantalising scent throughout the day’. I have tried two products from the Paint and Sky sub-range of the Believe and Wonder collection, the second of which is reviewed separately. The Paint the Sky Fragrance Mist is labelled as a floral-fruity scent and one which can ‘uplift your senses and inspire you to paint a vision of what could be’. The fragrance mist comes in the form of a sleek and simple bottle, with a muted pink a white striped pattern that exudes a feminine and refreshing appeal. In terms of its actual scent, its top notes are comprised of blackcurrant, apple blossom and rhubarb, the middle notes are of freesia, sandalwood, orange blossom and salicylates, and finally its bottom notes feature velvet musk, blonde woods, benzoin tears and golden amber. Whilst the notes in the head and heart notes are undeniably fruity and floral, the sandalwood and velvet musk in particular add a bit of sophistication to the former qualities. The tail notes linger for several hours, with enough punch to ensure that the mist is noticeably present. overall impressed with this fragrance mist and feel it compliments the matching Body Lotion really well. 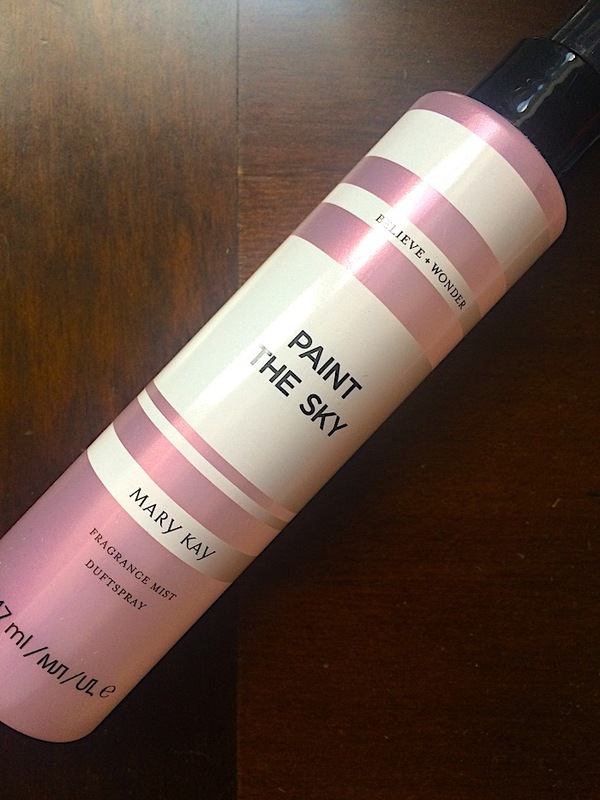 Mary Kay Paint The Sky Fragrance Mist is priced at £14.00.